Ediss Electric provides contracted and daily basis EMC engineering services and consultancy at product, PCB and component level. Preparation of EMC and R&TTE test plans, compliance testing and management service. Diagnostic and investigative work on systems, products, printed circuit boards and at IC level. Emscan near-field real-time scanning investigations. 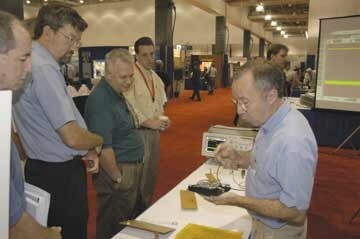 On-site testing of radiated emission, ESD, etc. Vector Network Analyzer (VNA) and Time Domain Reflectometry (TDR) assessments of connectors, decoupling components, PCB and coupon traces, interfaces to cables (SATA, HDMI, etc).